APEX Piping Systems, Inc., was originally formed as Galaxie Manufacturing in 1965. Founded in Delaware by a DuPont Company engineer, The Company began by manufacturing Type “C” stub ends and Van Stone Flanged (Flared) pipe spools using newly developed fabrication techniques and materials. The Company’s original customer base was composed of manufacturers in the plastic lined pipe industry, and pipe fitting distributors. The specialty metal pipe fittings manufactured by the Company continue to be sold under the GALAXIE™ trademark. In 1969 the Company was purchased by what was then called GL Industries, Inc. The Company name was later changed to SGL Piping Systems, a division of SGL Industries, Inc. The “G” in both the company and corporate name was dropped in 1985 to facilitate the Corporation’s move to the New York Stock Exchange where the ticker symbol was “SL”. APEX Piping Systems, Inc. was founded in 1996 as part of a management buyout of the former SL Industries, Inc. subsidiary company (SL Piping Systems). The Company business has developed over the years so that we have become a significant shop pre-fabricator of piping systems for the Chemical and Fluid Processing Industries. The Company’s unique Close Radius (1.5D) Pipe Bending and Lap Joint Flanging have become a preferred method of construction for many Chemical Industry Manufacturers and have been included in many of our clients engineering standards. Clients of APEX Piping Systems, Inc. include many Fortune 500 industrial concerns, Original Equipment Manufactures (OEM), Pipe Valve & Fitting Distributors, and local mechanical construction companies. APEX Piping Systems also takes great pride in its people. Skills have been developed in Engineering, Pipe Fitting & Welding, Forming Operations, and Quality Control that are unsurpassed in the industry. We are able to perform precision welding of a variety of piping materials, including the high alloys such as Stainless Steel, Titanium, Hastelloy, Zirconium, Aluminum, and all of the Nickel Alloys. The Company is also proficient in bending and flaring these same alloy materials. 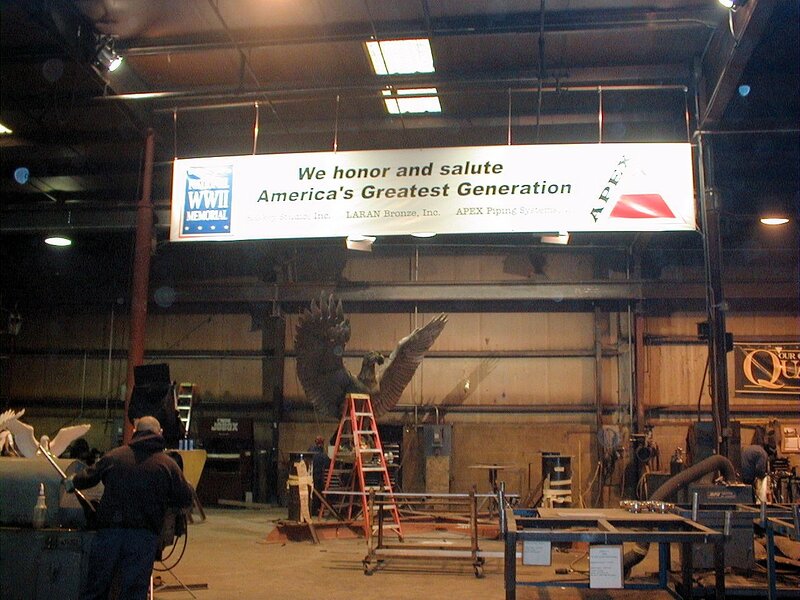 This provides the Company with a strong, competitive advantage over other fabricators. Our product line has increased over the years to include fabrication of Jacketed Piping Systems, Pipe Coils, Skid Mounted Modular Process Systems, and ASME Code Pressure Vessels. In 1996, a Mechanical Services Group was formed to provide Field Services and Installation of the Company’s products & services and mechanical construction. We are authorized by the American Society of Mechanical Engineers (ASME) to manufacture and repair Pressure Vessels, Pressure Piping, and Power Boilers. The Company holds ASME “U”, “PP”, “S”, and NBIC “R” code stamp authorizations. We are very proud of our excellent reputation in the industry and continue to strive to be the best. At APEX Piping Systems, we are committed to quality in everything that we deliver. It shall be the policy of APEX Piping Systems, Inc. to manufacture piping, modules and pressure equipment for the industrial and commercial markets, ensuring that these products meet or exceed the quality requirements of its customers. This will be accomplished by compliance to the Quality Management System, and improvement of the QMS’ effectiveness through establishing, executing and reviewing quality objectives. While focusing on customer satisfaction, APEX Piping Systems, Inc. provides quality products for our customers. APEX is committed to meeting and exceeding customers’ requirements and expectations. The scope of this Quality Management System includes the manufacture of piping, modules and pressure equipment for the industrial and commercial markets. Element 8.3 is not applicable from the scope of the system as APEX is not involved in design or development of the products it manufactures. The context of the organization consists of fabrication in accordance with, but not limited to, customer specifications, ASME code requirements, API specifications, and any regulatory and/or statutory requirements. The interested parties of the organization consist of, but are not limited to, shareholders, employees, regulatory and statutory bodies or representatives, customers, end users, and other stakeholders as applicable.